One way to keep yourself happy is to give yourself "me" time. What's my definition of a "me" time? 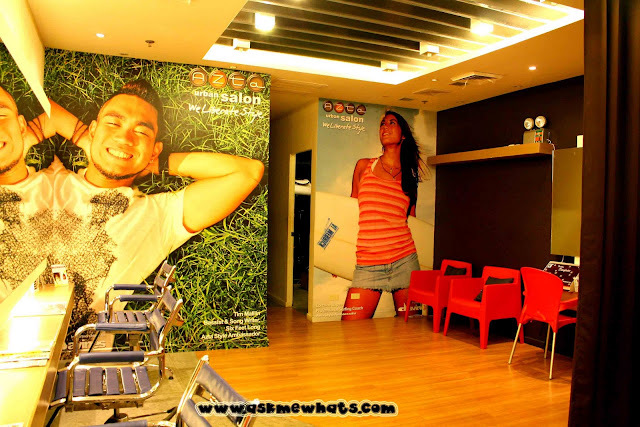 All together now: "Visit a salon!" Let's not forget the friendly smile of the receptionist Ms. Chien. 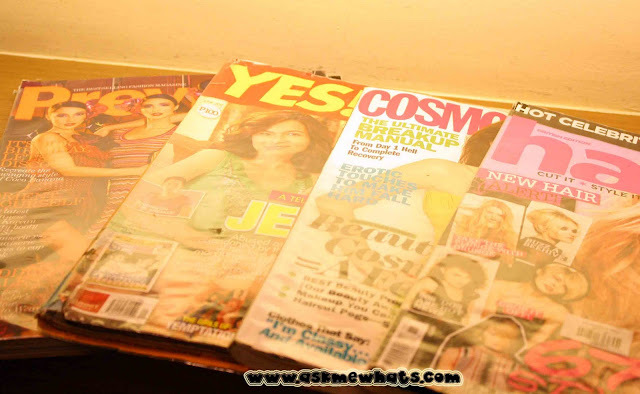 First thing I checked....magazines! Do I have enough to read? Are they updated? YES! I was accommodated by the stylist Ms. Rich and she asked me what kind of service I would like to avail. I told her my re-growth doesn't look like a re-growth anymore! I've been too busy to even take care of my hair color so I wanted the same shade that's left on almost half bottom of my hair. She took one look and color matched it with the available shades they have. We both decided Mahogany Gold Dark Blonde is the closest shade! I was led to their "wash area" and with the advantage of having small eyes? I was able to scan the area right away without them noticing. Clean rolled towels, 2 reclining seats and sinks, huge tub of gorgeous smelling shampoo and conditioner. I didn't pry on the brand anymore! :P All I know is that it smells WONDERFUL! He applied the hair color on the re-growth area. 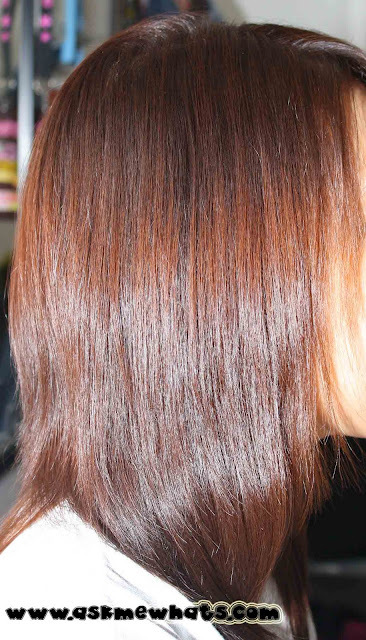 I was advised by Rich that the lower part of my hair is sensitized so she'll give the "colored" portion a skip, which I totally appreciate and agree! 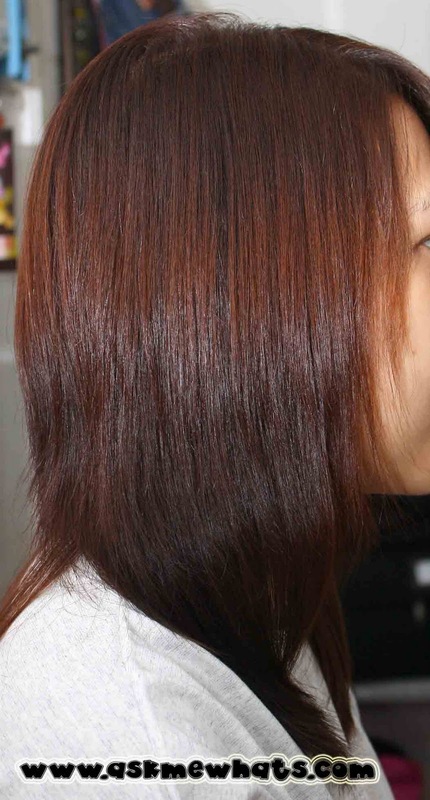 The application, the waiting time depends on your hair type. I think my color was developed around 45minutes to almost an hour. Thanks to my sister for bringing me Sugar Cane juice and for chatting with me for a good hour. The time passes by pretty quickly with a companion. (Tip: Go to a salon with your friend or family family member, its a great bonding moment!). Sorry for the different lighting, but my hair color turned out great! It matches my old hair color PERFECTLY! I was showed the Gloss Treatment DIACOLOR RICHESSE guide. 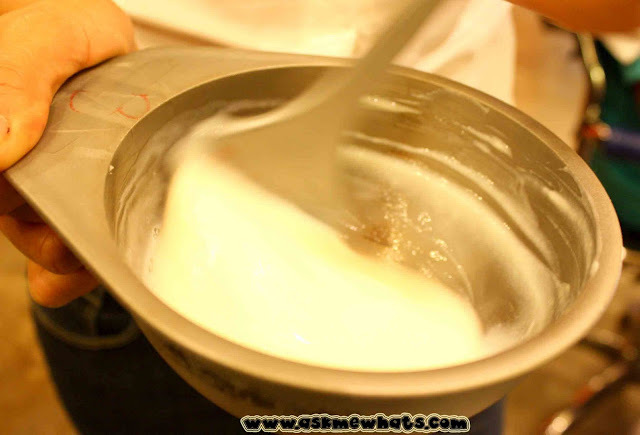 The Gloss Treatment is a term from L'Oreal similar to "Cellophane Treatment". 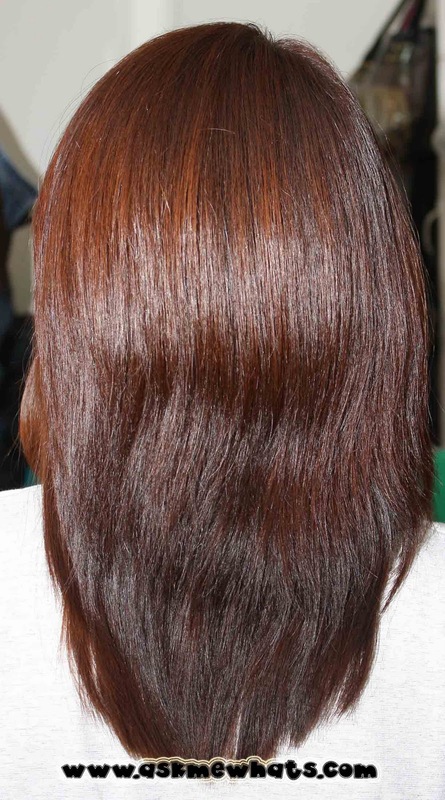 They highly recommend this treatment to be done after "rebonding". Gives long lasting brilliant shine. Comes in deep natural shades. Silky smoothness with Apricot Kernel Oil Complex. Okay, I'm not that smart! I actually took a shot of the "guide"! :P But here's seriously what I learned about Gloss Treatment after several interrogation. This service is usually offered together with the forme or X-Tenso smoothing service. The shades to choose may sound crazy but it does not color your hair, it only gives a good "shine" or "highlight" to your original hair color. Best done with newly colored hair. 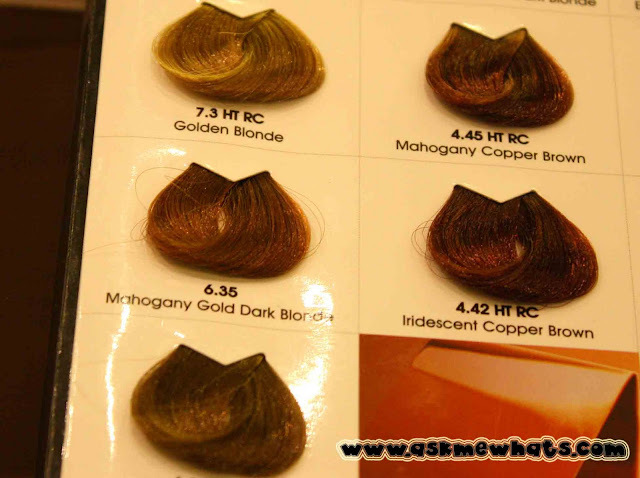 Best for virgin hair, those who want a bit of "shade" but scared of dyeing their hair! The treatment lasts approximately 20 washes with the right shampoo and conditioner. I chose "BLONDE", the lightest shade, as I was assured again and again (the adventurous side of me do get a wee bit nervous you know :P) that the color won't mask my hair color but it enhances instead! 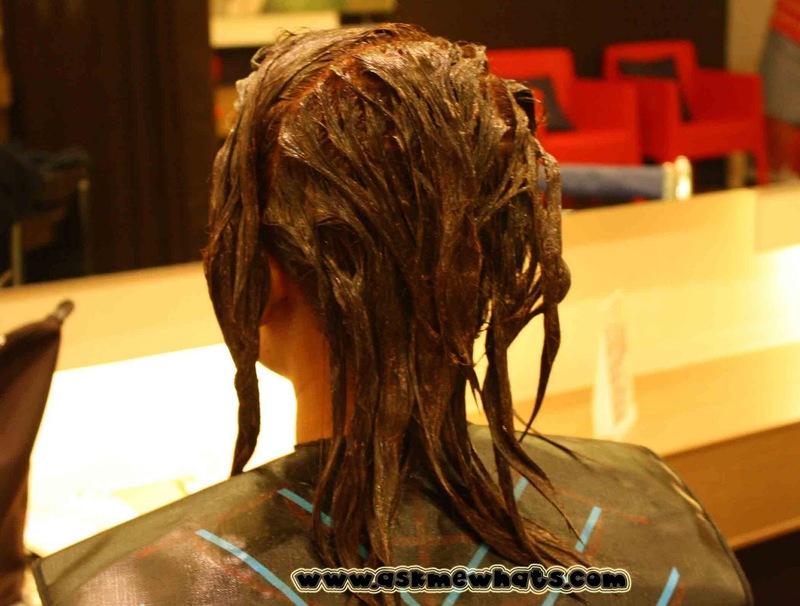 The Gloss Treatment was applied all over my hair. Thanks sister for taking this "Medusa" shot! :P Application takes around 30 minutes and a good 20 minutes was needed for the treatment to "set". I think I helped them "close" the salon! I arrived 5:15pm and I left around 8:00pm, so almost 3 hours! I'm not complaining though, I felt so relaxed and happy with the result! 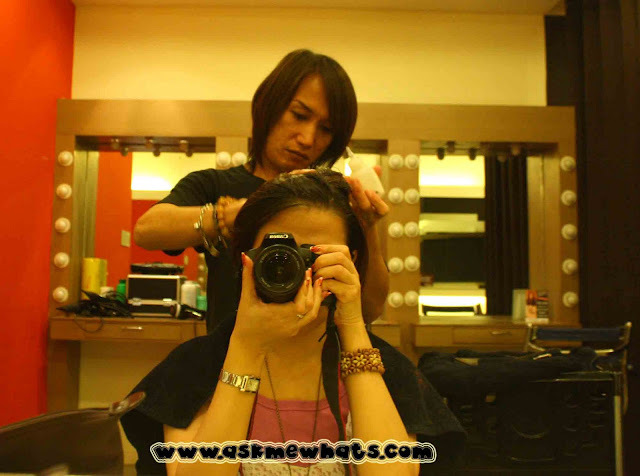 Here's Stylist Rich Abella blowdrying my "better looking" hair! 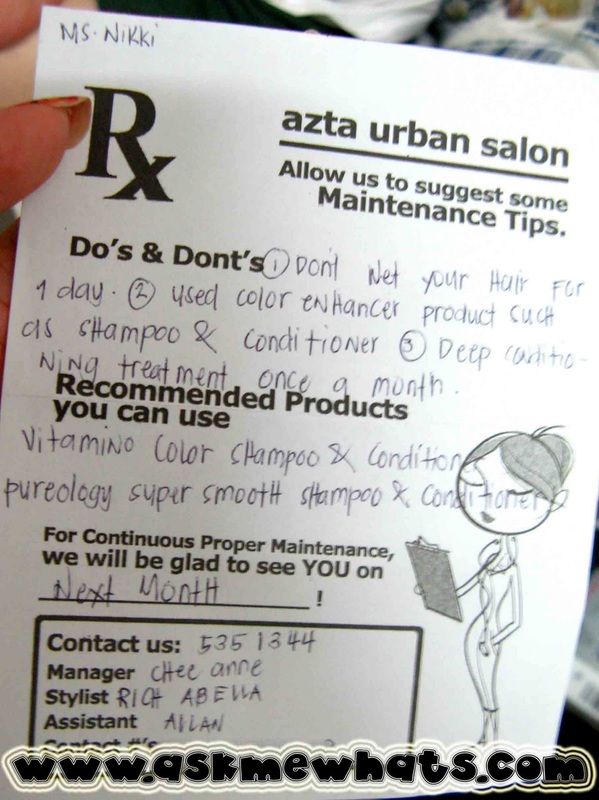 The cutest part about AZTA Urban Salon is the "prescription" slip they gave me! *awww* Maintenance tips were given for better looking hair! Since I've been coloring my hair for quite some time now, I want to go back for my Power Dose treatment! *saving up for now*. I currently have a shorter 'do plus CRAZY layers! 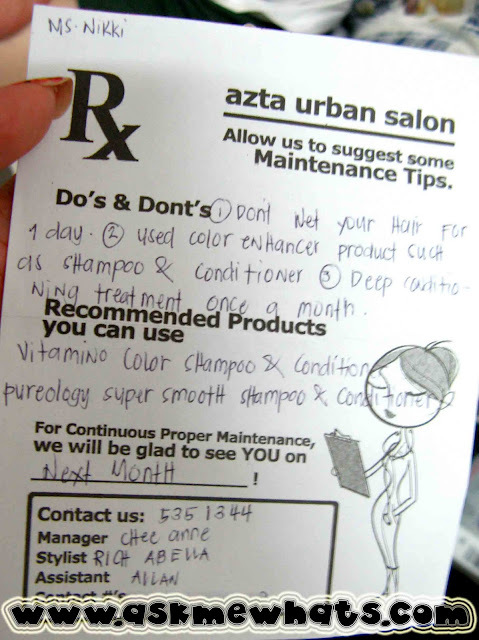 Before I end this post, there's a good news from AZTA Urban Salon! 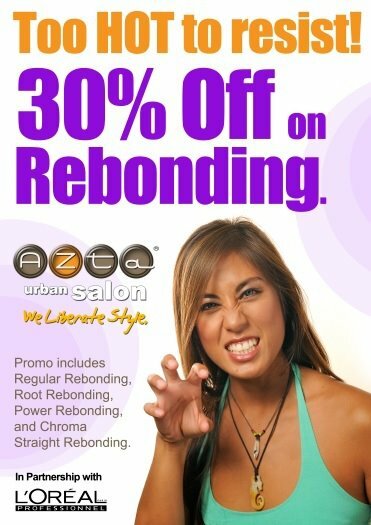 For the month of October --- 30% off on ALL OUR REBOND SERVICES starting today, October 1! Call and book your appointments now. Early birds get a special gift from AZTA! 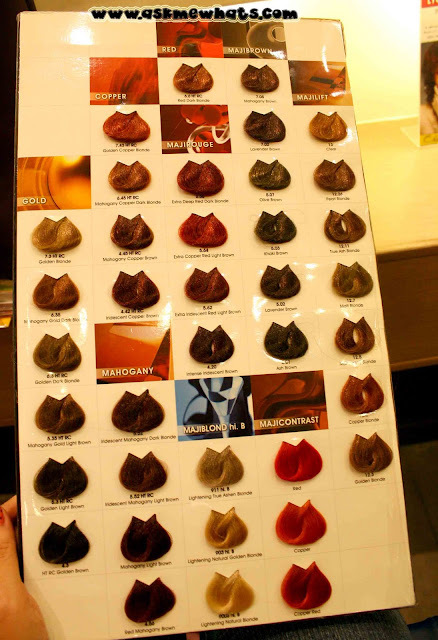 What's your current hair color? I absolutely love your new hair colour! !